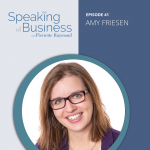 Speaking of Business - Welcome to the New Show! 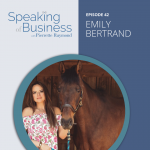 Speaking of Business – Welcome to the New Show! 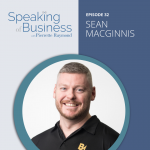 Welcome to the premiere episode of Speaking of Business, the podcast where COOs and Second In Commands come for guidance, support and tips and strategies to grow their businesses, improve operations and build world class cultures. Your host is Pierrette Raymond, who will take you behind the scenes with COOs providing you with insight into their day-to-day operations, what is working for them and what they have learned through the challenges they have faced as well as how they continue to grow their company in the role of COO or 2nd In Command. Through Speaking of Business, Pierrette will also bring to you CEOs and business owners who have a deep commitment to support their COOs and 2nd In Commands and showcase what they do to support them as they work together to grow their company, support their people and make an impact in the world, and in their communities. Speaking of Business has its roots in the Living Fully Show. 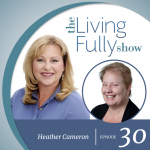 After 106 Episodes, the time to pivot into the next phase begun when Pierrette opened up her private coaching and consulting practice to work with COOs and 2nd In Commands. • Listening to your own voice and trusting your intuition is key to your success and fulfillment. • Get recognition and affirmation from your results in these proven ways. • Map out the journey for the next 3 weeks, 3 months, 3 years. • Take deliberate and conscious action everyday. • Surround yourself with people who believe in you and will support you. Questions? Comments? Please leave them for us to respond to as we are very much looking forward to hearing from you. Do you know a COO or 2nd In Command who is doing an awesome job running their operations, growing their business, and building amazing cultures? We want to hear from you. 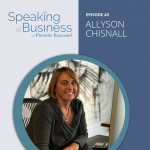 Contact us and share who you believe would be a great guest on Speaking of Business.